Prof. Gosla Reddy is a Professor of Maxillofacial Surgery at NTR University of Health Sciences, Andhra Pradesh. 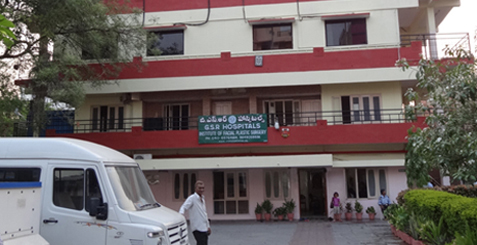 Professor Gosla Reddy’s vision and life long ambition of starting an institute that dealt exclusively with defects of the craniofacial region was realized in November 2000 with the opening of the Institute of Craniofacial Surgery. The Institute over this period has become one of the premier centers for the treatment of cleft defects in India and also worldwide. His passion for the field of cleft surgeries for which he is known worldwide started with a humbling experience. When Prof. Gosla Reddy had freshly graduated as a maxillofacial surgeon, one of his friends came to him about the daughter of his domestic help who had tried to commit suicide as she was born with a cleft defect. This unfortunate girl was 21 years old having had no reconstructive surgery at all because her father was too poor to afford treatment. She was being shunned by her peers and so had decided to take her life. Prof. Gosla Reddy operated on her successfully free of charge. This girl is now married with children of her own, leading as normal a life as any one of us. This experienced moved him to start rehabilitating children with cleft deformities. Prof. Gosla Reddy realized that to successfully rehabilitate cleft patients he needed a cleft team and resources (as most affected children cannot afford treatment). He also realized the need to give complete rehabilitation including speech therapy and orthodontics if he was to make any difference in the lives of children born with such defects. Prof. Gosla Reddy has spent most of his time, effort and money since then to develop an Institute of Craniofacial Surgery with the mission of providing comprehensive rehabilitation to as many children born with defects of the maxillofacial complex as possible. His motto in life has been to “BRING THE SMILE BACK” to these unfortunate children and he has succeeded in doing that.